Lovely natural cotton rovings from The Bellwether. "Real" poonis (as opposed to mine, click here to see how I make them) neatly wrapped in a newspaper in who knows what language. 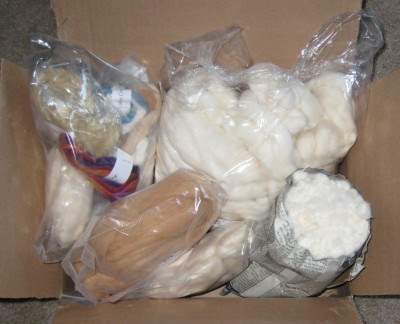 Plus a sampling of other cotton goodies. I got mine came from Holly Bee when I was taking weaving lessons there 8 and a half years ago. Talk about a small world! I promise that I tried to encourage Peg to spin at least some of this herself, but I can't say that I'm not delighted that she prefers spinning other things. I'm happy to be able to look forward to more cotton spinning in the future. What a luscious lot of cotton - you lucky thing! The newspaper page looks like Hindi, FWIW. Leigh, the language on the newspaper wrapping is one of the (many) languages of India. I believe those are cotton punis, right? Much like Gandhi used for his spinning. That is such a wonderful stash buster of cottons! I've never tried spinning cotton, and never knew it was available in rovings. I'll have to investigate. 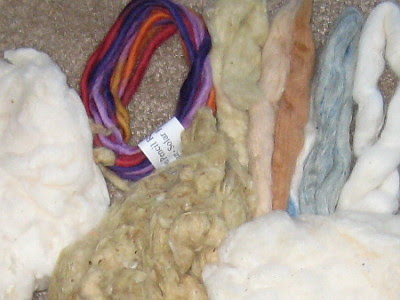 I look forward to seeing more of your beautiful handspun cotton. Thought I might be getting into cotton spinning myself, there's a great wheel for sale on ebay UK and I'd love to have one and spin cotton on it...but when I looked into the size of it I realised it's about as tall as me and a bit longer than it is tall - wow. Superb wheel, but no room for it in our house!! Peg's stash sure did find a good home!!! What can I say? You are very welcome and thank you. What a marvelous haul. 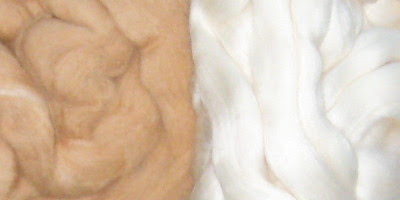 I love the tan/camel colored roving. I've never spun cotton, but I'd love to try one day. Cotton and cotton/wool blends are so well suited to our warm climate. 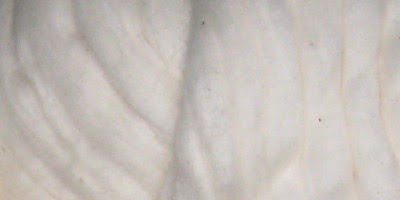 I've never spun cotton before. Eventually I'll get the chance. I'm envious of the haul. Have fun! How beautiful. You'll be dyeing and spinning and playing for a long time! Leigh - I had a small sample of the multicoloured top in the goodybag from the olg - and loved spinning it and the resulting yarn! unfortunately those dyed tops are unavailable over here in europe - so I'd have to dye some myself. looks like you have your hands full for a while? :) enjoy spinning it! Hurrah for Hardy! Hurrah for Wine!